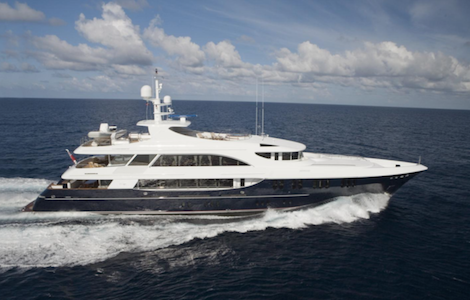 Following her listing in July this year, the 47.85m tri-deck superyacht, Libra III, has had a $1.2 million price reduction. She is listed for sale with Sean Doyle at Northrop & Johnson and has a new asking price of $17.8 million. Formerly known as Lady Linda, she was built by Trinity Yachts in 2006 for a repeat client and has an Evan K. Marshall-styled interior consisting of five opulent staterooms for 10 guests. Libra III’s condition is ‘second to none’ after having regular work conducted and operating under private use since its launch in October 2005. Last year she visited Lauderdale Marine Centre, where she had the hull sandblasted and inspected, primed and painted. She is fitted with two recently serviced Caterpillar 1,679kW engines with just over 4,000 hours amassed, and passed her ABS survey in July this year. 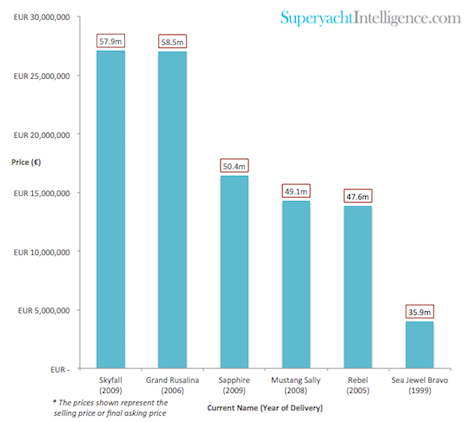 Whilst no Trinity Yachts builds have been sold so far this year, six were sold last year at an average LOA of 49.9m, as the chart below shows. Only one of these, Sea Jewel Bravo (35.9m), had to be reduced in price before being sold, signifying that there is a demand for the pedigree. The 57.91m Skyfall is now back on the market with Worth Avenue Yachts and International Yacht Collection with an asking price of $35 million, equated to €31.4 million (XE Converter).